It's not very often that I do lifestyle posts, but I'm hoping to integrate it a bit more into my blog because I love it on other people's blogs. 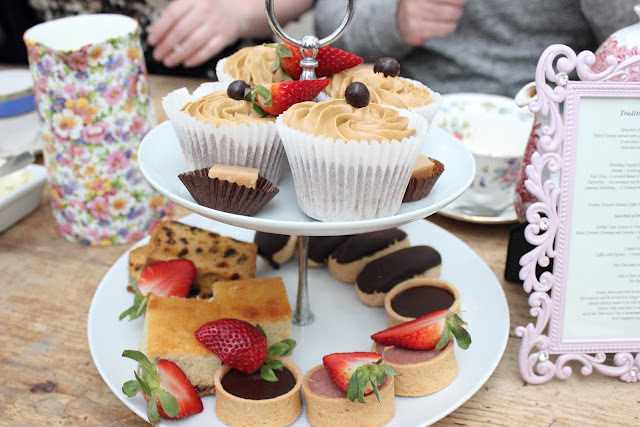 This weekend it was my boyfriend's Nan's 70th birthday and we went for 'Afternoon Tea'. I absolutely loved all the quaint cups and sauces, jugs and the pretty cakes. The scones were rather tasty as you can see. 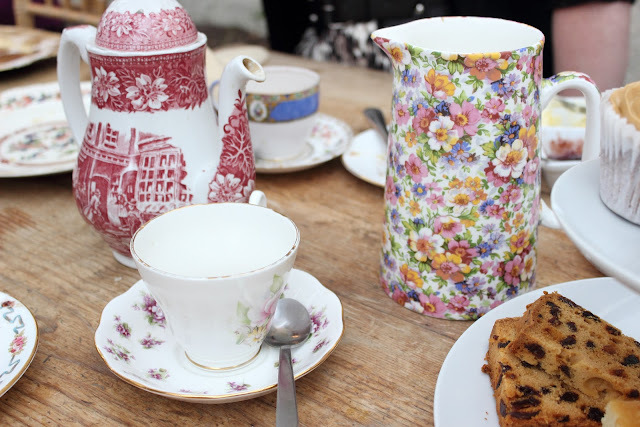 I love that whole 'shabby chic' look and I would love to have odd tea sets like this in the future. I'm also trying to improve my photography so it gave me a chance to have a little play around. Do you like reading lifestyle posts and seeing photography like this? Ohmy that raisin cake looks soooo delicious...*-* I love love tea! 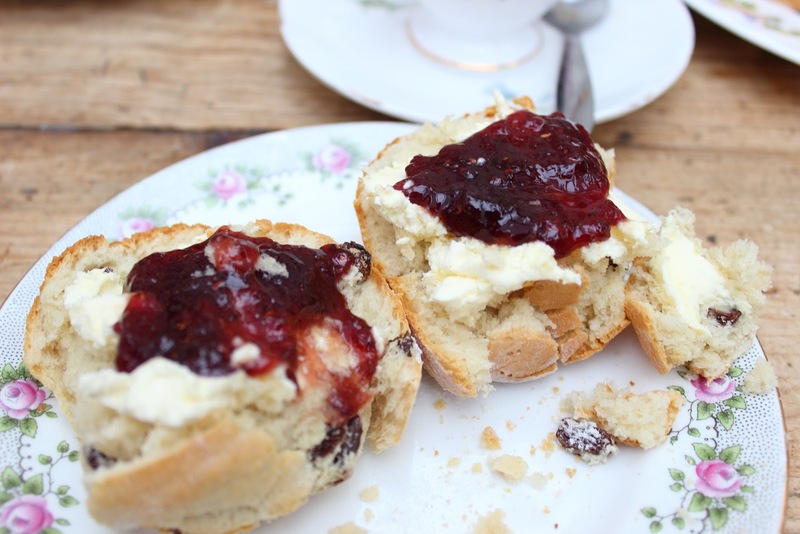 Scones with jam and clotted cream are my favourite! Hope you had a good time, what were the cupcakes? The photos are really good. And it all looks so yummy! This looks absolutely amazing, glad you had a good time! Aww looks soo cute, just to think that it was a birthday party too, :) Bet it was lovely. Your first lifestyle post is great, keep it up! I absolutely love going for 'afternoon tea'. 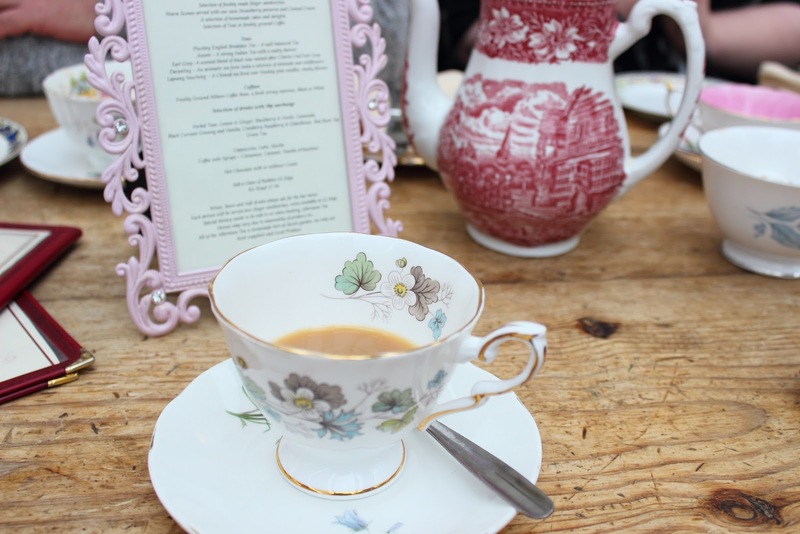 It feels particularly special when they serve the tea in beautiful teacups on saucers, so elegant!